Can I Write off My Work Clothes on My Taxes? Every so often, I get a variation of the same question from friends and clients, “can I deduct the cost of my clothes on my taxes?” The answer depends. 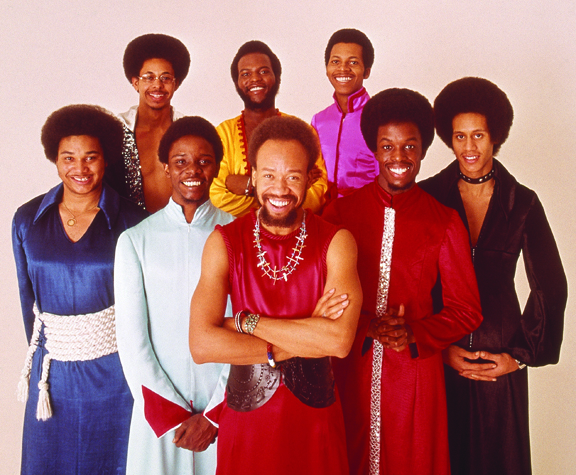 If you are part of Earth, Wind & Fire or Twisted Sister, sure. If not, probably not. In all seriousness, the IRS allows individuals to write off the purchase and care of their clothing if it is unique, special and required for the job. For instance, nurses, police officers and other professionals who have to wear a uniform for work, can write off the purchase and upkeep of their clothing. If someone is a professional that wears a suit every day and needs it to keep up appearance like a news anchor, then they cannot write off the purchase and upkeep of their clothing. If they do write it off and the IRS does an audit, the write off will be reversed and the taxpayer will end up owing the IRS the money for the deduction. You can deduct the cost and upkeep of work clothes if the following two requirements are met. • You must wear them as a condition of your employment. • The clothes are not suitable for everyday wear. It is not enough that you wear distinctive clothing. The clothing must be specifically required by your employer. Nor is it enough that you do not, in fact, wear your work clothes away from work. The clothing must not be suitable for taking the place of your regular clothing. Examples of workers who may be able to deduct the cost and upkeep of work clothes are: delivery workers, firefighters, health care workers, law enforcement officers, letter carriers, professional athletes, and transportation workers (air, rail, bus, etc.). Musicians and entertainers can deduct the cost of theatrical clothing and accessories that are not suitable for everyday wear. However, work clothing consisting of white cap, white shirt or white jacket, white bib overalls, and standard work shoes, which a painter is required by his union to wear on the job, is not distinctive in character or in the nature of a uniform. Similarly, the costs of buying and maintaining blue work clothes worn by a welder at the request of a foreman are not deductible. Protective clothing. You can deduct the cost of protective clothing required in your work, such as safety shoes or boots, safety glasses, hard hats, and work gloves. Examples of workers who may be required to wear safety items are: carpenters, cement workers, chemical workers, electricians, fishing boat crew members, machinists, oil field workers, pipe fitters, steamfitters, and truck drivers. Military uniforms. You generally cannot deduct the cost of your uniforms if you are on full-time active duty in the armed forces. However, if you are an armed forces reservist, you can deduct the unreimbursed cost of your uniform if military regulations restrict you from wearing it except while on duty as a reservist. In figuring the deduction, you must reduce the cost by any nontaxable allowance you receive for these expenses. If local military rules do not allow you to wear fatigue uniforms when you are off duty, you can deduct the amount by which the cost of buying and keeping up these uniforms is more than the uniform allowance you receive. You can deduct the cost of your uniforms if you are a civilian faculty or staff member of a military school. Author TaxAssurances, LLCPosted on February 5, 2015 November 12, 2016 Categories TaxesTags active duty, air, allowance, armed forces, audit, boots, bus, carpenters, cement corkers, chemical workers, clients, clothing must be specifically required by your employer, condition of your employment, deduction, delivery workers, distinctive clothing, earth wind and fire, electricians, entertainers, firefighters, fishing boat crew members, full time, hard hats, health care workers, irs, keep up appearance, law enforcement officers, letter carriers, local military, machinists, military uniforms, musicians, nontaxable, not suitable for everday wear, nurses, oil field workers, owing the irs, pipe fitters, police officers, professional atheletes, professionals, protectitive clothing, rail, reservist, reversed, safety glasses, safety shoes, steamfitters, suit, Taxes, theatrical clothing, transportation workers, truck drivers, uniform, uniforms, unreimbursed, upkeep of their clothing, work clothes, work glovesLeave a comment on Can I Write off My Work Clothes on My Taxes?